« Invite A Star to Your Birthday Party- How it Feels? 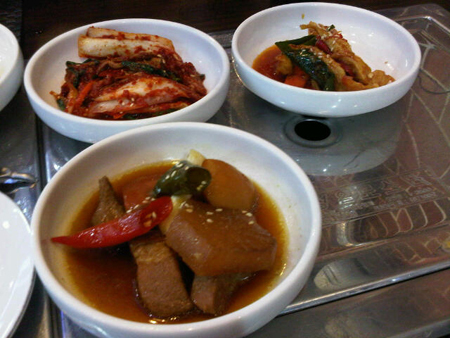 Today, after done my work at office, I’m going to a restaurant of Korean food named 강산 (read: Gangsan). Saturday my work hour is only untill noon at 12AM. 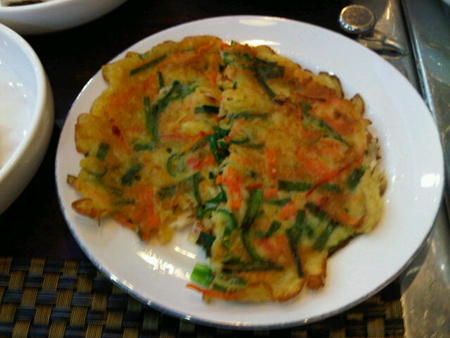 But before the Jajjangmyeon come out, they serve us with a FREE side dish, there are so many side dish we can choose, so we choose several side dish (which is looks delicious). 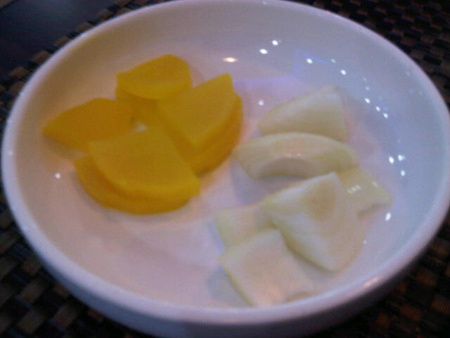 We are eating the sidedish while waiting for the jajjangmyeon, and finally! 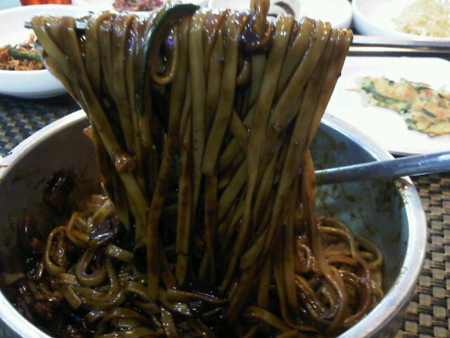 Here’s the Jajjangmyeon! The Jajjangmyeon served with turnip pickles and raw onion! 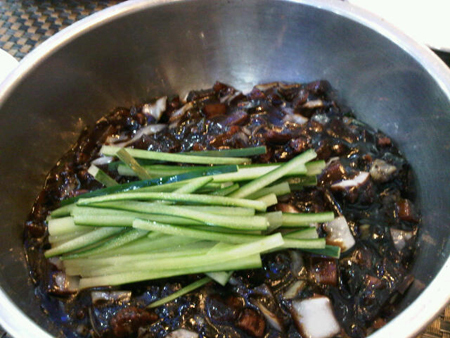 So the lunch Jajjangmyeon, some side dish and 3 bottle of cola cost approximately 20 USD.